It is my pleasure to welcome you to the campus of the University of Ibadan. The Ibadan Registry is as old as the University itself which was established as the University College Ibadan, (UCI), in 1948. The Registry, in line with its universal mandate as the custodian of rules and regulations is a major player in the efforts to actualizing the vision of the University which is to be a world-class institution for academic excellence geared towards meeting societal needs. It advises the Vice-Chancellor on the day-to-day administration of the affairs of the University, other than financial matters as stipulated in the University Act of 1962. The Registry of the University of Ibadan is made up of Divisions charged with providing excellent service towards the day-to-day effective administration of the institution. This comprises the Administration, Academic, Establishments, and Student Affairs Divisions. The Council and Legal Divisions as well as the Secretariats of the Postgraduate School, the Distance Learning Centre, the Vice-Chancellor’s Office and the College of Medicine are newer divisions that have evolved to deal with emerging complexities in governance, especially with the continuous expansion of the University. A Deputy Registrar who oversees the various units that make up the Division is responsible to the Registrar. 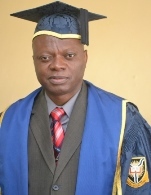 In terms of ensuring quality assurance, the Ibadan Registry has distinguished itself as the sole keeper of the University’s values and traditions and enforcer of rules and regulations. As an integral part of the University, it is committed to making Ibadan a world-class institution and has indeed worked assiduously to uphold its Vision and Mission as conceived by the founding fathers. It has performed creditably well against all odds, especially in this era of globalization. Once again, I welcome you to the Registry of our great University!